The Fastest & Safest Way To Grow Your Business with Europe's Leading Mastermind Group. FACILITATED BY THE MILLIONAIRES MENTOR. Stop Playing Small In Your Business & Start Growing. Period. 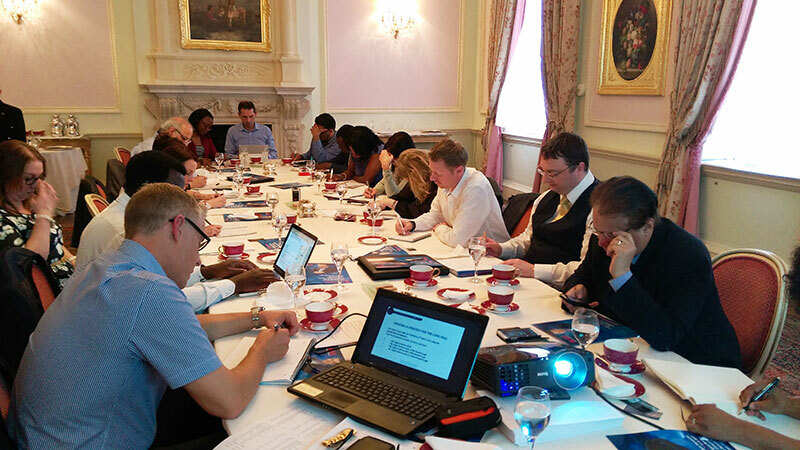 With every mastermind group, we are start off with a full day of intensive planning which takes place in central Mayfair, London. We start the day off at 8.am and straight down to work by looking at your last 12 months and what lessons can be learned going forward. Then followed by helping you to plan your next 12 months in details down to week by week, along with daily actions if needed. The afternoon we focus on looking at creating systems and processes for each one of you so you can achieve your next 12 months goals. During the full day intensive mastermind workshop all the attendees and mastermind group members will be sharing their results, so we can learn from each other not to make the same mistakes others have made in their past. Why Do Great Business People Have Coaches or Mentors?. A little more simply put… two minds are better than one. Better yet, when you bring several minds together, and they are working on a common goal, a synergy happens within the group that could not happen with one person by himself. In other words, “The whole is greater than the sum of the parts.” You don’t have struggle 10 to 14 hours a day to make ends meet because there is a better, safer and faster way to grow your business by working together with a Europe’s leading millionaires mentor and strategic advisor to FTSE 100 stock market listed company leaders. Over £1.08 million has been allocated for each year toward mentoring 120 entrepreneurs and small business owners who are looking for growth in their business. The Mastermind Of Entrepreneurs® Scholarship program (Up to 70% normally) is open to all European businesses who are committed to growing their businesses. Each mastermind group runs for a minimum of 12 months. We will be running two groups in London, Manchester and Edinburgh. What are your dreams, ambitions, goals and objectives that you would like to achieve in your business? What is the one single factor holding you or your business back if changed would have a domino’s effect for your business to succeed? How many hours a week are you working in your business? How much family time would you like to spend with loved ones and not worry about your business or the finances? How long can you really survive without expert help and support? Would you like to increase your sales by 10 X ROI each quarter ? The above is just a short list of things that keep most business owners awake at night rather than enjoying a good night’s sleep and leave work at the office. This is where working together in a group with The Mastermind Of Entrepreneurs® Scholarship program over 12 months led and facilitated by the millionaires mentor and strategic advisor to FTSE 100 stock market listed company leaders. With his proven track records he can and will help you through the process of identifying the weakest links in your business and provide strategies and also help you to implement them till your bottom line in your business increases. Moe has been running mastermind groups in the UK for over 16 years and some of UK's leading coaches, mentors and consultants have over the years been through his mastermind group. By working together with The Mastermind Of Entrepreneurs® program you will wake up every morning that much more excited and looking forward to going to work, remember what it was like in your first month of business? How much energy you had and how excited you were to be starting your own business? Good, how would you like to go back to being as happy and get control of your life once more? With the right guidance and mentoring you can and at the same time grow your business the Easiest, Safest and Fastest way. Our Mastermind Of Entrepreneurs® Scholarship mentoring programs are designed to work with you over a 12 month period, you will learn to grow your business with confidence each day achieving your targets and what’s more you will start to enjoy running your business. We have figured out ways to double / triple all our clients businesses with less time & effort, in order to free up more family time for you. Some of Our Mastermind Members Share Their Thoughts . . . I too have to surround myself with world Authorities so I can continue to learn. The MASTERMIND OF ENTREPRENEURS® SCHOLARSHIP program will assist you to STOP LEAVING MONEY ON THE TABLE for your competitors by making you STAND OUT from every competitor you have in your marketplace. There is NO other Business Mentoring program in Europe that has the experience and the know how to assist and succeed in growing your business and we are going to offer you to ACTUALLY walk away each month from our meetings with a project or a strategy for your business. 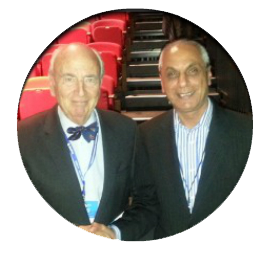 All our Mastermind Groups will be led by Europe’s leading millionaires mentor and strategic advisor to FTSE 100 stock market listed company leaders Moe Nawaz (author of “Mastermind Groups” and other publications on Amazon) Our members are going to come from all over the Europe and they will bring a level of BIG THINKING that no small local mastermind group could ever offer you. WARNING: YOU MUST HAVE SALES OF £25k Plus before being considered. We reject on average 34% of applications for our business mentoring and our mastermind groups, not everyone that applies gets in. Our Mastermind Of Entrepreneurs® Scholarship program is not for the faint-hearted. If you have a business which you know that can grow and you are willing to work hard to grow it and be successful, then this could be your chance to work with Europe’s leading like-minded business leaders and entrepreneurs to grow & prosper together. The reason that not everyone gets in is, the first thing we need to know is: Do you have what it takes to become wealthy? Will you work hard enough? Will you stick to your success? How determined are you to succeeding? Do you have the stamina for success? Do you have the backbone for what it takes to be successful? You see, if you don’t, the chances are you won’t succeed. I might sound a bit hard but I am trying to make you understand that making money and being successful is a skill that can be taught by the millionaires mentor and strategic advisor to FTSE 100 stock market listed company Leaders in the mastermind groups – as long as you are ready, willing and committed to apply what you learn diligently. Eligibility For Joining The Mastermind Of Entrepreneurs® Scholarships Program. You Must Have Sales Over £25,000 but less than £1 million to qualify for part paid Scholarship Awards. I urge you to be Decisive and take back control of your life and your business starting today. had an idea that there’s something better waiting for you out there, this is your chance to find out what it is!!! To find out more how you can be part of Europe’s leading Mastermind Of Entrepreneurs® Scholarship programs at the Ritz Hotel in London and now also in Manchester and Edinburgh. Please complete the simple form below so we can speak further on how to get you enrolled into the program. 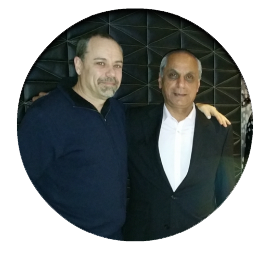 The Millionaires Mentor and the Strategic Advisor to the FTSE 100 Leaders, Moe Nawaz has created one the most dynamic learning communities in the world through his peer Mastermind Of Entrepreneurs® programs. The seven and eight figure business entrepreneurs and leaders in his communities help each other to learn. Since Moe has been running his communities for the seven and eight figure Mastermind Of Entrepreneurs® programs, taking a very conservative figure even by cutting it in half Moe has increased revenues in excess of £760 million for his clients. Moe works with and mentors highly successful ambitious millionaires and EIGHT figure leaders, entrepreneurs, executives, and innovators to support, encourage and accelerate their progress with tangible results you can bank, through Moe’s dedicated Mentor Of Executive® program and his strategic advisory business. His London, Mayfair-based mentoring and strategic advisory company help clients uncover innovative strategic options that maximise long-term shareholder value, from market entry to M&A. Through rigorous competitive analytic, tailored advisory work, and intelligent financing strategies, Moe help companies and investors make strategic choices that will accelerate growth and put their resources to better use. 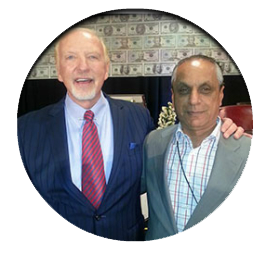 With over four decades of experience, Moe Nawaz has worked with companies, entrepreneurs, millionaires and leaders in America, Canada, Dubai, Germany, Turkey, South Africa, Iran, China, Russia, India, Italy and France, making his client base truly international. He is a highly sought after speaker, trusted mentor & high growth strategic advisor to FTSE 100 leaders, and is considered by many as the maverick thinker, game changer, integration catalyst and thought leader. The case studies and any testimonials on this page and throughout the site are, to the best of my ability and knowledge to determine, all true and accurate. Each client or former client gave the testimonies willingly without any inducements or compensations in any way in exchange. 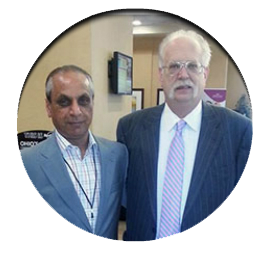 These testimonials and case studies do represent our typical and average results in the mastermind group depending on the duration as a member in the group. I can't make anyone follow my guidance, and I certainly can't promise that my mentoring or coaching, as interpreted and implemented by everyone, is going to achieve for everyone the kinds of results it's helped the members of the mastermind groups on this page have achieved. The income statements and examples on this website are not intended to represent or guarantee that everyone will achieve the same results. Each individual member’s success will be determined by his or her desire, commitment, dedication, ability to understand marketing, product, effort and motivation to work and follow recommendations. There is no guarantee you will duplicate the results stated here. You recognise any business endeavour has inherent risk for loss of investment in yourself and mine is no exception. Copyright © 2009-2018 MoeNawaz.com – Mentor to FTSE 100 Leaders, Duke Brothers Ltd.